The supplement aisle is filled with powders and pills that promise to help you build muscle mass naturally. But a new study says those supposed gains may cost you a healthy liver. Study participants who took over-the-counter bodybuilding supplements experienced liver problems, such as jaundice, yellowing of the eyes or skin, and stomach pain. Nearly three-fourths of the men were hospitalized from their symptoms. The study, published in the journal Alimentary Pharmacology and Therapeutics , sampled 44 men enrolled in the Drug-Induced Liver Injury Network , a program that identifies liver injuries related to supplements, prescription drugs, and over-the-counter drugs. Liver injuries were detected through blood tests, which looked at various indicators of liver health, including bile accumulation. 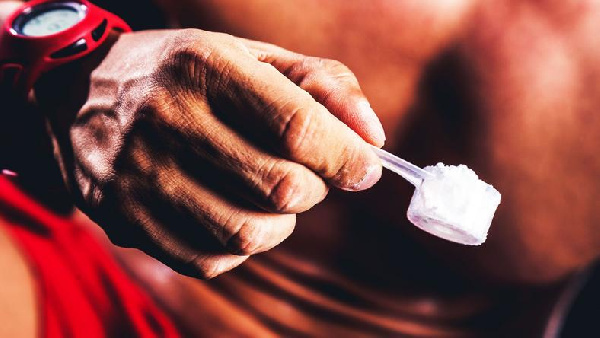 All of the men admitted to taking supplements in hopes of enhancing their physiques, and tests revealed that many of the products contained anabolic steroids that were not included in the label. Synthetic steroids mimic the male hormone testosterone, but have been shown to have very unpleasant side effects : liver damage, cancerous tumors, premature balding and smaller testicles to name just a few. Every man in the program reported jaundice, and many of the study participants experienced other problems, including excessive itchiness, abdominal pain, and nausea. Now is a good time to note that the liver is your largest internal organ and performs more than 500 functions that keep us aliveif we don’t abuse it. The study revealed that many products were inaccurately labeled. For example, Factor D, one supplement taken by a patient, did not list any anabolic androgens. Tests revealed it contained an unknown steroid as well as three other anabolic steroids: tetrahydrocorticosterone, stanozolol+, and methyldrostanolone+. Just how bad is that? Well, stanozol is classified as a controlled substance in the United states and included on the World Anti-Doping Agency’s prohibited list . Sometimes doctors may prescribe anabolic hormones for guys who have certain medical conditions, including anemia , but these substances are not recommended for the average guy. However, that doesn’t stop some from turning to anabolic steroidswithout medical supervisionto build muscle. Lead study author Dr. Andrew Stolz, M.D. of the University of Southern California, Los Angeles, urges men to consult with their doctors before buying any unregulated substance. “Patients need to inform their care providers if they are taking any form of nutritional supplement and should be especially leery of bodybuilding supplements, which may contain illicit or USA Drug Enforcement Administration controlled anabolic steroids.,” Stolz said in a statement. Sure some supplements can help you build muscle, like creatine , but this is a good reminder that the industry is unregulated, meaning we don’t exactly know what’s in them. And of course, it’s completely possible to increase muscle mass without pills by consuming enough protein, overall calories, and getting a full night’s sleep.